An election introduced as part of the 2017 Tax Cuts and Jobs Act allows taxpayers to defer the recognition of taxable income with respect to certain categories of compensatory stock options and restricted stock units (RSUs). While the circumstances in which the election is available are rather narrow, the benefits are significant. Under the newly-enacted Internal Revenue Code Section 83(i) (Section 83(i)), in cases where “qualified stock” is transferred to a “qualified employee,” the employee may elect to defer the recognition of taxable income on the transfer for up to five years. This new provision generally applies with respect to stock attributable to options exercised or RSUs settled after December 31, 2017. Before examining the concepts of qualified stock and qualified employee, which serve to limit the availability of the election and its benefits, it is helpful to remember the default rules and examine how Section 83(i) modifies those default rules. First, when a service provider receives unvested property in exchange for the performance of services, the default rule under the Internal Revenue Code is that the value of the property received, net of any amount paid for it, is not taxable to the service provider until the property is transferable or substantially vested, whichever occurs first. Second, in the private company context, non-qualified stock options granted at fair market value in connection with the performance of services are typically not considered “property” for purposes of the first default rule and are typically not taxable until the optionee exercises the option and receives fully vested stock. Finally, RSUs are generally not taxable until delivery of fully vested stock. the date on which the employee revokes the Section 83(i) election. The amount of income recognized at the end of the deferral period is equal to the value of the stock at the time at which the employee’s rights in such stock first become transferable or substantially vested (even if the value of the stock declines during the deferral period), less the amount paid by the employee for the stock. In other words, the amount subject to tax (at ordinary income rates) is fixed at the time the employee receives either transferable or substantially vested stock. Section 83(i) then controls the timing of the inclusion in the employee’s taxable income. One immediately apparent limitation on the benefits of Section 83(i) is present in the first bullet point above. It is important to note that in cases where an employee receives transferable stock on exercise of an option, no deferral is available under Section 83(i) (because the deferral period would immediately end under the first bullet point). Further, under normal Section 83 principles, an employee’s right to stock or other property is transferable (and therefore taxable) if the employee can transfer an interest in the property to any person other than the transferor of the property. But for purposes of the Section 83(i) election, an ability to transfer qualified stock back to the employer forecloses the opportunity to defer tax under Section 83(i) (again because the deferral period would immediately end under the first bullet point). While closely-held stock is customarily subject to general restrictions on transfer, query whether certain cashless exercise provisions (or provisions allowing intra-family transfers) would render qualified stock “transferable” for purposes of Section 83(i) – this scenario is not directly addressed in the statute or legislative history. Given the transferability issue, Section 83(i) essentially applied when vested stock is received pursuant to the exercise of an option (or RSUs are vested) and where there is a transfer restriction. The term qualified stock does not include stock that the employee has the right to sell back to the corporation at the time the employee’s rights in such stock first become substantially vested. It also does not include stock in lieu of which the employee may receive cash at the time the employee’s rights in such stock first become substantially vested. The term eligible corporation means a private corporation that, in the year the option or RSU at issue is granted, had in place a written plan under which it granted stock options or RSUs to at least 80% of its full-time employees who provide services to the corporation in the US. To meet this 80% test, the options or RSUs granted must carry with them the same rights and privileges to receive qualified stock. The number of shares available to each employee need not be identical, but must be more than de minimis. the four highest compensated officers (either during the calendar year or at any time during the 10 preceding calendar years). The election to defer income under Section 83(i) must be made by the employee within 30 days after the rights of the employee in qualified stock are transferable or no longer subject to a substantial risk of forfeiture, whichever is earlier. The election is made in a manner similar to that used for an election under Section 83(b). In addition to the limitations on the availability of Section 83(i) contained within the definitions of qualified stock and qualified employee, no election under Section 83(i) may be made if: (1) the qualified employee has made an election under Section 83(b) with respect to the qualified stock (as further described in the examples below); (2) any employer stock is publicly traded at any time before the election is made; or (3) the employer participated in certain types of share repurchases in the preceding calendar year. 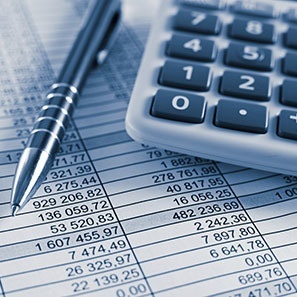 In connection with the latter limitation (and in addition to the reporting requirements set forth below), employers must report certain repurchases of outstanding stock on their tax returns. Though the election is made by employees, Section 83(i) imposes certain duties on employers. At the time that an amount attributable to qualified stock would first be taxable to a transferee, the employer must certify to the employee that the stock is qualified stock and notify the employee that he or she may be eligible to elect deferral of income. The employer must also notify the employee that, should he or she elect deferral, the amount of income recognized at the end of the deferral period will be based on the value of the stock at the time at which the rights of the employee in such stock first become transferable or not subject to substantial risk of forfeiture and that such amount will be subject to withholding. The former is an important point and must be stressed; more specifically, even if the value of the stock declines during the deferral period, the employee remains taxable on the value of the stock at the time it substantially vests. A qualified employee may make a Section 83(i) election with respect to qualified stock attributable to a statutory option, in which case the option would then not be treated as a statutory option. Section 83(i) election applies only for income tax purposes. The application of the Federal Insurance Contributions Act (FICA) and the Federal Unemployment Tax Act (FUTA) are not affected. A Section 83(i) election has a bearing on the employer’s deduction, which in the presence of an election is generally deferred until the year in which the amount is included in the employee’s income. It would appear that the holding period applicable to qualified stock for which a Section 83(i) election is in place would begin to run on exercise of the option and receipt of the stock, rather than the later date on which the associated income is recognized. The statute and legislative history use the phrase “rights of the employee in qualified stock” which, in the case of an option, appears to refer to the transfer of qualified stock in connection with exercise of the option, rather than to the option itself. As an illustration of the operation of Section 83(i), consider a situation in which a qualified employee exercises an option in Year 1, paying an exercise price of $10 and receiving vested, nontransferable qualified stock worth $1,000. Normally, the employee would be taxed under Section 83(a) on the spread, i.e. $990, in Year 1 at ordinary income rates. If Section 83(i) applies, the employee could elect to defer the tax on $990 for up to five years beyond exercise, i.e. to Year 6. If the stock becomes transferable in Year 7 and the employee sells the stock in that year for $1,500, the employee will pay tax at capital gains rates on $500 in Year 7 because the ordinary income component is capped at the time of exercise. Without a Section 83(i) election, the employee would be taxed on $990 in Year 1, meaning that the employee would miss out on the benefit of deferral of a tax liability and, more importantly, would have to raise funds to pay tax at a time when the stock the employee received on exercise of the option is likely to be illiquid. Modifying the example slightly, assume that the stock decreases in value to $600 in Year 6 and that a Section 83(i) is in place. In this case, the employee still owes tax on $990 (the spread at the time of exercise, not at the time of inclusion), which is the same amount that would have been owed under Section 83(a) without a Section 83(i) election. It is important to note that Section 83(i) does not change the amount of the tax, only the timing of the payment of tax. One more modification to the example will illustrate the interplay between Section 83(i) and Section 83(b). Assume the first set of facts described above, except that instead of exercising the option for substantially vested stock (that is nontransferable), the employee exercises the option for substantially unvested stock (that is nontransferable). In this case, Section 83(i) does not apply until the stock becomes substantially vested, at which point the employee may elect to defer the tax for up to five years. Section 83(b), on the other hand, is available at the time of exercise because at that time we have a service provider who has received substantially unvested property (i.e. the stock) in exchange for services. The employee may make a Section 83(b) election, choosing to be taxed on the spread at the time of exercise rather than at the time of vesting (the expectation is that the spread would be greater upon vesting due to appreciation over time, so a Section 83(b) election may be worthwhile). If the employee makes the Section 83(b) election, deferral under Section 83(i) is no longer available at any time with respect to the stock because Section 83(i) and Section 83(b) are mutually exclusive. It is worth noting that a Section 83(b) election affects both the timing and the amount of the payment of tax whereas, as explained above, a Section 83(i) election only affects the timing of the payment of the tax. As is apparent based on the discussion above, the Section 83(i) election has a narrow reach. Section 83(i) is focused on widely available stock option and RSU arrangements under which employees receive rights to illiquid, nontransferable stock; essentially, situations in which an employee would be subject to immediate taxation under the general rules of Section 83(a) without having the ability to sell the stock in order to raise funds to pay the tax. Section 83(i) solves this by essentially allowing the employee to defer the tax. In situations where Section 83(i) applies, the deferral is likely to be very beneficial to employees. But the requirement that compensatory arrangements be granted to 80% of an employer’s employees along with the restrictions on transferability of qualified stock that are necessary in order for Section 83(i) to apply are likely to exclude many compensatory arrangements from the benefits. Further, the availability of Section 83(i) implicates an additional layer of administrative burden on employers who must comply with notice requirements and it also affects the timing of an employer’s deduction. Certain startups and other uniquely situated companies should consider the benefits of Section 83(i), especially if they are considering implementing or extending an equity compensation program. In the right situation, making adjustments in order to bring the program within the parameters of Section 83(i) could mean significant benefits to employees, making the program (and the employer) more attractive. Conversely, the availability of Section 83(i) to employees is automatic in situations where it applies, so employers must be careful not to unwittingly invite the burdens of Section 83(i) where the benefits do not outweigh those burdens. If you have questions or would like additional information, please contact Kevin Koscil (koscilk@whiteandwilliams.com; 215.864.6827), John Eagan (eaganj@whiteandwilliams.com; 212.868.4835) or another member of our Tax and Estates Group.